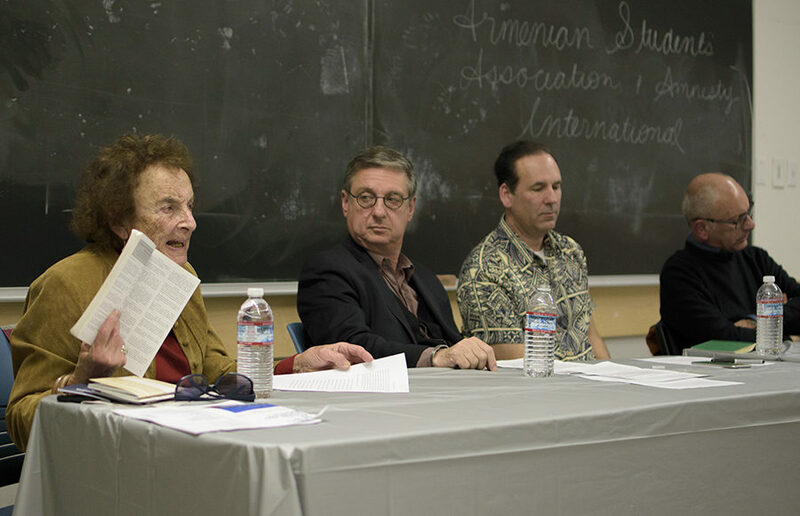 As part of April’s Genocide Awareness and Prevention Month, UC Berkeley professors honed in on the intricacies of genocide to a full classroom during “A Panel on Genocide” event Tuesday. Berkeley High School students staged a walkout to honor victims of the Marjory Stoneman Douglas High School shooting in Parkland, Florida and to demand gun reform Wednesday morning. More than 100 demonstrators gathered on Sproul Plaza in light of International Workers’ Day, or May Day, which is traditionally known for its history of advocating for worker rights. More than 100 students filled Morgan Hall on Tuesday night to hear Zalmay Khalilzad, former U.S. ambassador to the United Nations, discuss his rise to U.S. diplomacy and his insights into the future of the Middle East. Berkeley High School students held a rally to protest police brutality Thursday in the school’s main courtyard. While studies show that more millennials are politically disillusioned, the Republican Party has seen its youth coalition take a hit. Yet UC Berkeley still sees its fair share of young conservatives despite these reports and its reputation But there is a bit of pressure being Republican on campus.